It’s time for another of my end-of-year “Best” lists (you can see all 1,600 “The Best…” lists here). I’m adding this one to All My 2016 “Best” Lists In One Place. The Washington Post published a column I wrote about what school was like the day after the Presidential election, ‘Dear President-elect Trump’: Immigrant students write letters asking for ‘the opportunity to demonstrate we are good people.’ There was a reaction to the similar stories many other teachers shared – read No, Most Educators Are Not “Fueling Student Anxieties” – Trump Is Handling That On His Own. Why the History of School Reform is Essential for Policymakers, Practitioners, and Researchers is by Larry Cuban. 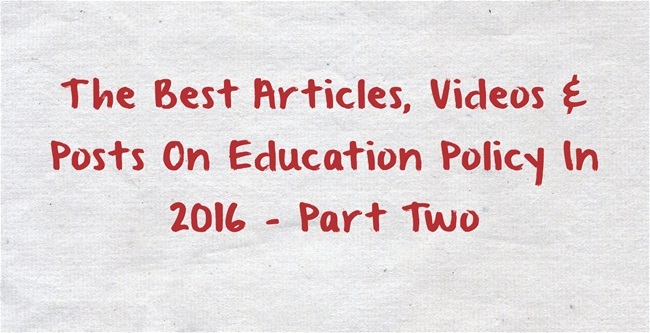 I’m adding it to The Best Articles Providing An “Overall” Perspective On Education Policy. Rethinking School Discipline is from The American Prospect. I’m adding it to The Best Resources For Learning About Restorative Practices – Help Me Find More. Five myths about charter schools is from The Washington Post. I’m adding it to The Best Posts & Articles Analyzing Charter Schools. There is ‘Hope That ESSA Will Bring Positive Change To Classrooms’ is the headline of one of my latest Education Week Teacher columns. In it, Randi Weingarten, Barnett Berry, Morgan Polikoff, Erik M. Francis, and Jacki Gran wrote how they believe The Every Student Succeeds Act will affect classroom practice. From Deficiency to Strength: Shifting the Mindset about Education Inequality is by Yong Zhao. I’m adding it to The Best Posts On Looking At Our Students Through The Lens Of Assets & Not Deficits. I wouldn’t necessarily say this is one of the “best” pieces on Ed Policy, but I think readers will find the entire post very interesting: A Report On EdSource Symposium On California Ed, Including What I Said About State Assessments. The Bush Institute released an interactive on education so you can compare schools in 114 cities. The State of our Cities project appears surprisingly interesting and objective. It does not appear – at least to me – that they have any ax to grind in the school reform debate, and list useful stats. You can read more about it at Ed Week’s article, New Website to Compare Cities’ Education Results Makes Debut. I’m adding this info to The Best Places To Get Reliable, Valid, Accessible & Useful Education Data. An open letter to editors of the New York Times (and most other American periodicals). is by Daniel Willingham. Why firing bad teachers isn’t nearly as important as creating good ones is from The L.A. Times. I’m adding it to The Best Resources On California Court Case Attacking Teacher’s Rights. Education Matters, But Direct Anti-Poverty and Inequality-Reduction Efforts Matter More is by Ben Spielberg. I’m adding it to The Best Resources On Why Improving Education Is Not THE Answer To Poverty & Inequality. 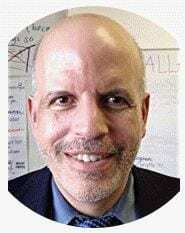 Reforms That Stick: How Schools Change is by Larry Cuban. Five Thirty Eight published a piece worth reading headlined The Economic Recovery Hasn’t Reached America’s Schools. The Education Commission of the States has put out what may be the most accessible, and short, guide to The Every Student Succeeds Act. 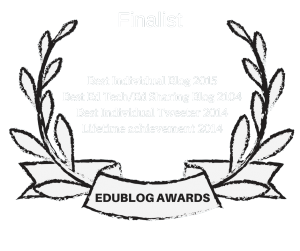 I’m adding it to The Best Resources For Understanding The Every Student Succeeds Act. Foundations Unfiltered is a behind-the-scenes peek at education foundations. I’m adding it to The Best Resources For Learning About The Role Of Private Foundations In Education Policy. The choice of words practice-based evidence is deliberate. We aim to signal a key difference in the relationship between inquiry and improvement as compared to that typically assumed in the more commonly used expression evidence-based practice. Implicit in the latter is that evidence of efficacy exists somewhere outside of local practice and practitioners should simply implement these evidence-based practices. Improvement research, in contrast, is an ongoing, local learning activity. I’m adding it to The Best Resources For Understanding How To Interpret Education Research. America’s Not-So-Broken Education System is by Jack Schneider. I’m adding it to The Best Articles Pointing Out That Our Schools Are Not Failing — Please Suggest More. Teacher Unions Are ‘Bargaining for the Common Good’ is from The American Prospect. I’m adding it to The Best Resources For Learning Why Teachers Unions Are Important.